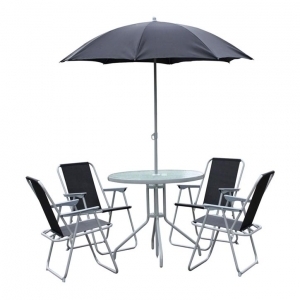 Garden furniture includes a huge range of prices and styles of sets in particular. 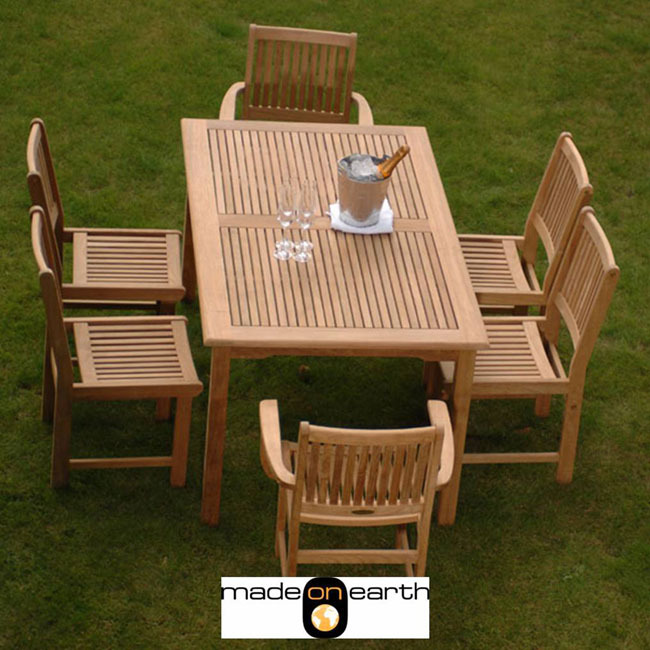 Budget Bistro Sets to Hardwood or Teak full table and chair sets. There are benches and swings and lounge sets made from rattan, wood or metal. The companies we have included below are among the best suppliers we could find and all have regular sales and offers. 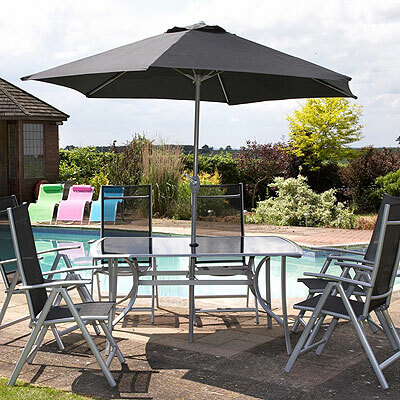 There seems to be a myriad of options when it comes to garden furniture, but it is a little easier to make your selection if you split the options into categories. At the bottom end of the pricing structure you have budget sets like this six piece set for less than £74. The ever popular Bistro styled sets also fit into this category - these are available for around £100 for a table and four chairs. This 8 piece 6 Seat Garden Patio Set includes the material Textoline, which is growing in popularity. At less than £175 it represents the next level on the pricing scale. Between £100 and £400 is where you will find the largest range of options of tables and chair sets. To confuse matters, there is a crossover in pricing between around £200 up to whatever you wish to pay, for wooden table and chair sets. Acacia, and a number of Chinese and softwoods are generally used for less expensive sets - all of which are perfectly fine as long as you look after them. At the dearer end you will find mahogany and then teak, which is more durable and longer lasting. This Made on Earth Jana set is £1000 although it doesn't come with cushions. In an almost separate category of its own are the growing in popularity rattan patio sets. 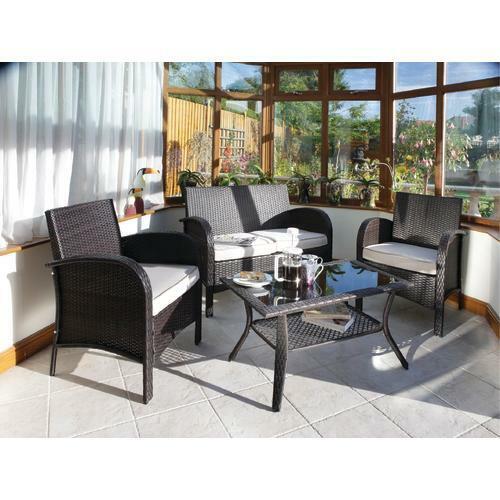 As a crossover between conservatory furniture and modern outdoor lounge seating areas, decent quality, such as this Sorrento Set for under £400, can last if well cared for.